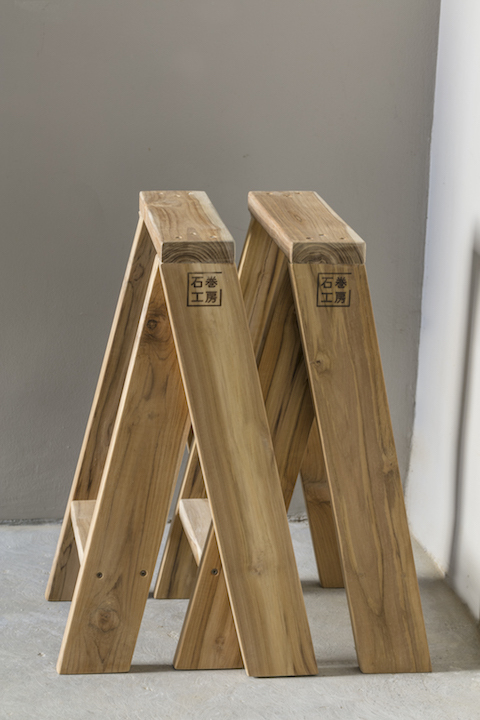 Aside from hard wood, we also have a number of raw materials that are used in various pieces of furniture—from rattan and bamboo, to metal. Different regions and provinces in the country are also known for specific types of wood and furniture craftsmanship. Pampanga for hard-carved products, for example, and Cebu for rattan and fine wood furniture. 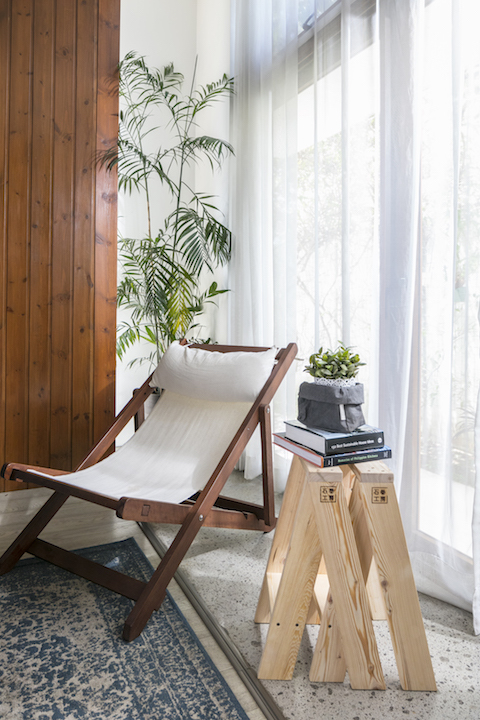 You can also see how furniture-making is a pervasive industry within Metro Manila and its nearby provinces—just look out your window when you go out for a drive, and you’ll definitely spot a number small furniture shop or enterprise, or upholsterers and the like. So it’s really no surprise that the Philippines has become the second home of a now-globally known furniture and carpentry initiative. 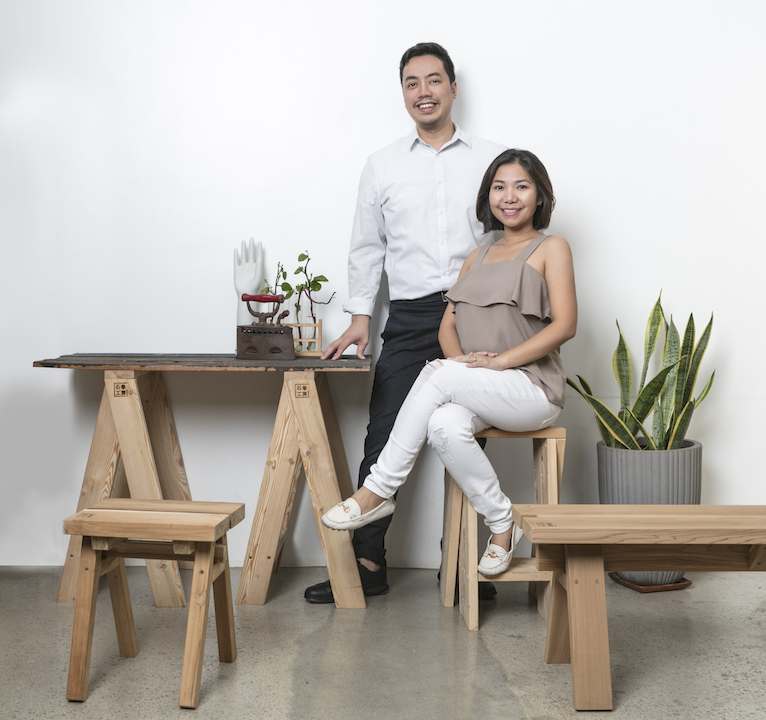 Ishinomaki Lab, which was established in 2011 in response to the Great East Japan Earthquake, has designated Lamana, an up-and-coming local furniture brand as their first partners in their Made in Local initiative in the country. The beauty of Ishinomaki Lab’s designs is that the pieces are multifunctional. 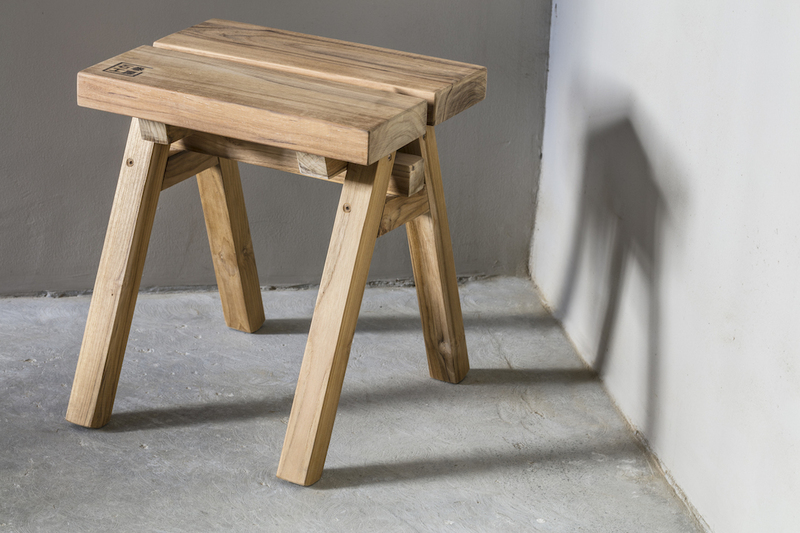 Here, the AA stool is used as a side table. Photo by Jar Concengco. 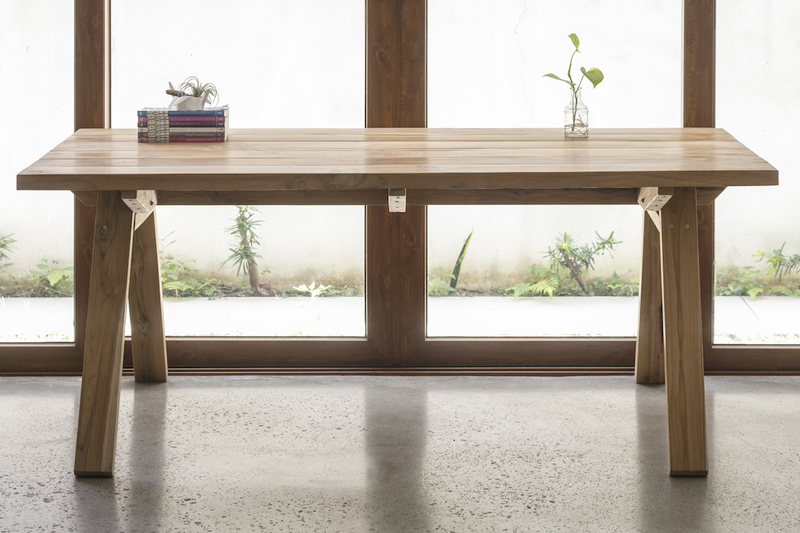 There’s a fine difference between simply distributing Ishinomaki Lab’s furniture and being part of their Made in Local initiative. The latter speaks truer to the essence of the Japanese enterprise. The initial workshop will (hopefully, Jar says) be held in Antipolo, where their factory is based, as a way of giving back to the immediate community. This couldn’t come at a more perfect time. Because although there’s much to be proud of in our furniture industry, the fact remains that the industry is also facing a decline in sales. Lamana is a welcome—not to mention fresh—addition to the local scene, as they work to engage local artists and designers. Lamana opens Apr. 24 in Legaspi Village, Makati. Find them on Instagram and Facebook.